My team and I look forward to having you as our guest at Banyan Tree Macau. Banyan Tree Macau is the city's first high-rise urban resort to showcase the ultimate privilege of private indoor relaxation pools in every suite and swimming pools with serene gardens in every villa. It is part of Galaxy Macau and comprises 256 keys, including 10 expansive villas and the ultra-exclusive Presidential Suite. 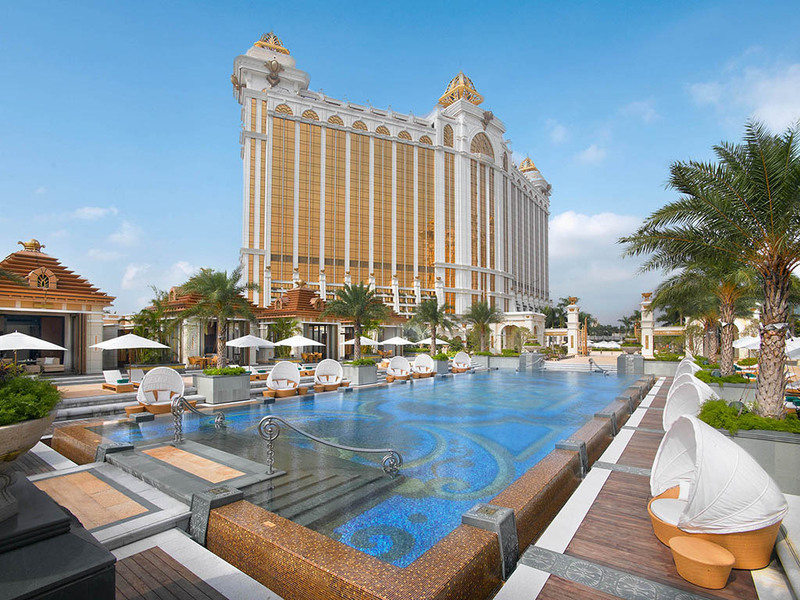 Hotel is a part of "Galaxy Macau"
Banyan Tree Macau offers luxurious suites and villas with private pools. Order a cocktail from the Pool Bar and relax while picking at light finger food and a tasty selection of international dishes. This casual dining venue affords direct access to pool and sunbathing deck area. Exuding a charming and relaxed atmosphere - Banyan Lounge is perfect for social gatherings at any time of the day. Enjoy pre-dinner drinks or a sparkling glass of champagne while basking in the sunset. Tantalizing your palate with the freshest ingredients cooked by our chefs, Belon is evocative of an aquatic atmosphere. Be immersed in a truly unique dining experience as you enjoy the best seafood and grills in Macau. Saffron is richly inspired by the art of traditional Thai cuisine in all its splendour. Presenting the authentic taste of Thai cuisine at its best. Traditional cooking methods reminiscent of the techniques passed down from generation to generation. With a warm palette and plush upholstered pastel armchairs, the Lounge exudes an air of lush, old-world charm. Enjoy drinks before dinner, an after-dinner glass of champagne or consume dainty treats of your choice from the afternoon tea menu.